10.3 "Victory of the neats"
10.5 Where is HAL 9000? Realistic humanoid automatons were built by craftsman from every civilization, including Yan Shi, Hero of Alexandria, Al-Jazari , Pierre Jaquet-Droz, and Wolfgang von Kempelen. The oldest known automatons were the sacred statues of ancient Egypt and Greece. The faithful believed that craftsman had imbued these figures with very real minds, capable of wisdom and emotion—Hermes Trismegistus wrote that "by discovering the true nature of the gods, man has been able to reproduce it." In the 17th century, Leibniz, Thomas Hobbes and René Descartes explored the possibility that all rational thought could be made as systematic as algebra or geometry. Hobbes famously wrote in Leviathan: "reason is nothing but reckoning". 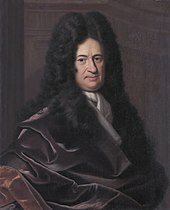 Leibniz envisioned a universal language of reasoning (his characteristica universalis) which would reduce argumentation to calculation, so that "there would be no more need of disputation between two philosophers than between two accountants. For it would suffice to take their pencils in hand, down to their slates, and to say each other (with a friend as witness, if they liked): Let us calculate." These philosophers had begun to articulate the physical symbol system hypothesis that would become the guiding faith of AI research. Walter Pitts and Warren McCulloch analyzed networks of idealized artificial neurons and showed how they might perform simple logical functions. They were the first to describe what later researchers would call a neural network. One of the students inspired by Pitts and McCulloch was a young Marvin Minsky, then a 24-year-old graduate student. In 1951 (with Dean Edmonds) he built the first neural net machine, the SNARC. Minsky was to become one of the most important leaders and innovators in AI for the next 50 years. In June 1963, MIT received a $2.2 million grant from the newly created Advanced Research Projects Agency (later known as DARPA). The money was used to fund project MAC which subsumed the "AI Group" founded by Minsky and McCarthy five years earlier. DARPA continued to provide three million dollars a year until the 70s. DARPA made similar grants to Newell and Simon's program at CMU and to the Stanford AI Project (founded by John McCarthy in 1963). Another important AI laboratory was established at Edinburgh University by Donald Michie in 1965. These four institutions would continue to be the main centers of AI research (and funding) in academia for many years. The agencies which funded AI research (such as the British government, DARPA and NRC) became frustrated with the lack of progress and eventually cut off almost all funding for undirected research into AI. The pattern began as early as 1966 when the ALPAC report appeared criticizing machine translation efforts. After spending 20 million dollars, the NRC ended all support. In 1973, the Lighthill report on the state of AI research in England criticized the utter failure of AI to achieve its "grandiose objectives" and led to the dismantling of AI research in that country. (The report specifically mentioned the combinatorial explosion problem as a reason for AI's failings.) DARPA was deeply disappointed with researchers working on the Speech Understanding Research program at CMU and canceled an annual grant of three million dollars. By 1974, funding for AI projects was hard to find. Algorithms originally developed by AI researchers began to appear as parts of larger systems. AI had solved a lot of very difficult problems and their solutions proved to be useful throughout the technology industry, such as data mining, industrial robotics, logistics, speech recognition, banking software, medical diagnosis and Google's search engine. This page was last edited on 14 April 2019, at 04:09 (UTC).